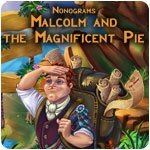 Nonograms: Malcolm and the Magnificent Pie Game - Download and Play Free Version! Help Malcolm make the most delicious pie. There's a certain expression: arch rivals. Our characters Malcolm and John definitely fall into this category. This time fate has brought them together in the field of gastronomy. 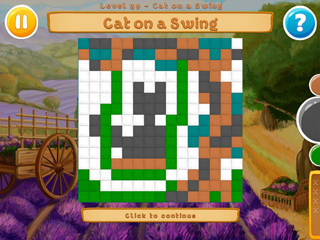 John is currently in the lead, but Malcolm is looking for a way to attract more customers. The ace up Malcolm's sleeve is an old recipe for the most delicious pie anyone has ever tasted. 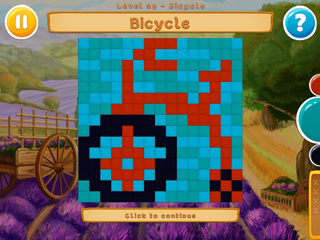 But if Malcolm wants to get all the ingredients for his dark horse, he's going to have to work hard.